Original version © Copyright Richard Bellon! 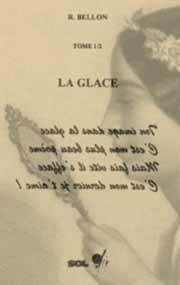 Quelle que soit la langue de votre amoureuse, "la Glace" est son miroir! My love poem in its original French version, with french audio voices! Translated in 433 languages from all around the world, it is now totally international. It is certainly the most translated from all over the world. Fom Nantes, for you, i wanted to write the most beautiful poem. only You and Me, alone, know its reflection. Do not let it fade, and you will discover one day, how many people admire you in this snapshot. I hid your name in one of these 433 translations. I hid it because, to love is always a secret. Many are those who say that spoken and witten French are two distinct languages (i am one of them). On the paper I did a bit successful ... but what poem in our spoken language, should I one day invent to seduce her? I remember a book that poses the true question: to love or to be loved? "This girl with sparse hair was probably destined to be one of the few women elected. Despite her hair arranged without taste and her nasty clothes, despite her graceless body, she can be proud to have loved! " (The shotgun Yasushi Inoue). As for those anxieties of death that have been pursuing me since the beginning, I say that I found a form of immortality, with these few words, written one day on the paper. Many people say that spoken and written French are two distinct languages (I am one of them). On paper I have a bit succeed ... but what poem in our spoken language, should I one day invent to seduce you? May my four verses, carried away by the breath of the words, fly to the five continents, like the wind, one day brought them in your mail box. Popular Latin spoken in Gaul (Gallo Romania) in the 5th century, is called Gallo-Roman, which can be divided into 3 dialect groups (Provencal, Occitan and Oil). This Gallo-Roman of course will be influenced by the Franks when they arrive. Roman is the stage of Oil language, that succeeds the Gallo-Roman and precedes the old French. In the year 800, people already make the difference between Latin and this popular language (Roman) The glosses of Reichenau (780) are considered as Roman, and are of all the Romance languages ​​of Occidental Romania. In 842 "Les serments de Strasbourg" (text of laws), is written in Roman, must be more considered as proto-French. The collapse of the central power (Rome), favors the endogenous evolution of the different dialects. In the 11th century, the Paris region became the geographical and political center of the kingdom of France, and its speech spread to the surrounding regions. The old French language, marked by dialectal peculiarities, evolved in the late 12th century towards a form similar to the speech of Ile de France, which enjoys great prestige. Great authors still let escape some dialectalisms, but around 1400 Froissard will mark the end. Between 1350 and 1600 it is middle French. In this period the language will not change as profound that in the previous period. This period is that of the consecration of the Parisian speech, with the disappearance of feudalism, and the establishment of royal power (Louis 11). It is also the invention of printing that accentuates the influence of the French by diffusing it. In 1539 François 1st in Villers-Cotterêts imposes French instead of Latin as administrative and justice language. From then, it is the decline of the dialects, oil (north of the Loire), oc (south of the Loire). 1539 is also the year of the first French-Latin dictionary, work of Robert Estienne, will follow grammars. Its the beginning of Latin translations, by creating an appropriate vocabulary (for medicine by example). After the discovery of the new world, one borrows from Portuguese, and Spanish, and with the Italian fashion brought by Catherine de Medicis it will be from Italian. In the revolution for which language is a political instrument for a nation, dialects are fought (school, army). One of the first French written poems is "The Life of St. Alexis" (1040). Then under the Capetian, will succeed it epics poems with "les chansons de geste" (chanson de Roland), lyrical poems with troubadours into oc language, then those of the troubadours in the oil language, and popular poetry (le roman de Renart). At the end of the Middle Ages the form of poetry took on greater importance (Machaut and especially Villon). In the "renaissance" a learned poetry which with Clément Marot become an humorous and personal poetry, Louise Labé and Maurice Scève represent the Lyon school. In the 17th which is first very classic with Malherbe (official poet of Henri 4), poetry is refined, the poet became an arranger of syllables rather than a prophet. The libertine current oriente work and Theophile de Viau and st Amant poetry. The age of Louis 14 is one of many classic works which include: Corneille, Racine, Molière, La Fontaine, La Bruyère, Fenelon, Boileau (head of a school of classical literature). In the 18th (siècle des lumières) literature become, a literature of ideas (Voltaire, Rousseau, Montesquieu), encyclopedic (Buffon, Diderot), romance (Marivaux, Choderlos de Laclos, Bernardin de saint-Pierre), for poetry, only emerges A. Chénier. The 19th century will see Chateaubriand, Ms de Stael, the beginning of romanticism. Poetry will be represented by: Lamartine, Vigny, Hugo, Alfred de Musset, Nerval, Gautier, Leconte de Lisle. The end of the century will see a poetic revival with other French poets just as famous as: Baudelaire, Rimbaud, Verlaine. For Mallarmé, "poetry is a sacred language", and around him the Symbolist movement is created, Lautreamont is one of them. Apollinaire brings its originality, Paul Fort his ballads, Claudel the verbal essence, Peguy the patriotism. In the 20th century, we see the birth of a poetic liberation movement with Dadaism and surrealism of André Breton, Desnos, Eluard, Aragon, René Char. In the margins of Surrealism are poets who combine fantasy, irony and religious feeling (Cendrars, Reverdy). Cocteaux shines but asserted himself first as a poet, Henri Michaux sought a new verbal expression. The other French poets abound (St John Perse, Supervielle, Fargue). Aragon returns to lyrical themes, Jacques Prévert in his poems gives to objects poetic images, René Char practices verbal encounters. More recently we must cite as true great French poets, the troubadours, who are: Trénet, Brel, Brassens, Gainsbourg, and Nougaro among others.